If something is your every day from an early age, does it become normal? If abuse is a regular part of life, does it become affection? Certainly, in the case of Steve Goldblatt, cruelty is love. There’s brilliance on the part of Kessler’s to make the story first person because had we had that omniscient view, the story would have just been too difficult to read. Reading the story from Steve’s point of view just softens the impact and cruelty of the story line. True tragedy comes to the realization that Steve is not anti-social and the cycle of “love” will continue. The question that Kessler poses to the reader is if evil is all a child knows growing up can he be blamed for not recognizing evil in his own life. Steve’s perpetuating abusive and cruel actions he sees in a way as something he does for the greater good. Steve’s mother won’t allow him a key to the home so he’s often locked outside and sleeping in the driveway. I recently read a non-fiction book Cowboys, Armageddon, and The Truth: How a Gay Child Was Saved From Religion (review here) where the step-mother wouldn’t allow her stepchildren into the house when she wasn’t there. The house was Fluffy’s house. Steve’s mother, Sarah, exists in the real world and as in the situation with Fluffy, people may recognize a problem but they don’t speak out. The stepchildren in this non-fiction work thankfully recognized wrong for what it was, but how easily could they have gone the way of Steve Goldblatt? Kessler’s writing style is very strong. He’s telling a story on which the main character reflects. Despite its 396 page length, Shadowlands by Alan Steven Kessler is a fairly quick read thanks to the fluid nature of the writing. We go through key moments in Steve’s life and his impressions of his adults and contemporaries. He calls his twin sisters “things” through to their adulthood. There’s no distinction between the girls in Steve’s mind. No connection. They are his mother’s Greek Chorus. Most of Kessler’s characters are well fleshed out and all are a product of their environments. Tom, a key friend, dreams of great things and saving his mother from her poverty but when time unfolds, life is a struggle and his wife is the second coming of his mother. Likely to suffer the same fate. Wow, you’re saying, Tammy, must have really liked this book. I didn’t. I would not be able to read it again. Everyone has those realities that they have a tough time reading. Child abuse is mine and to see a child embrace it in the way Steve does was simply agonizing to read. Perhaps this is another sign of the quality of Kessler’s writing? Shadowlands is a thought-provoking work of speculative fiction. 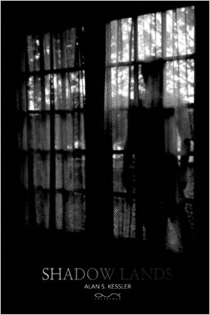 If psychological horror is what you like to read, you might like this novel. I gave this novel four stars because it’s not what I might choose to read on my own but it is a good example of the genre and quite well written. Alan Steven Kessler is the author of the two novels: Shadowlands and A Satan Carol. For more information about Alan Steven Kessler and his work, visit his website and blog. You can connect with him on Goodreads and Facebook.